Some early tax filers are getting back smaller refunds this year. 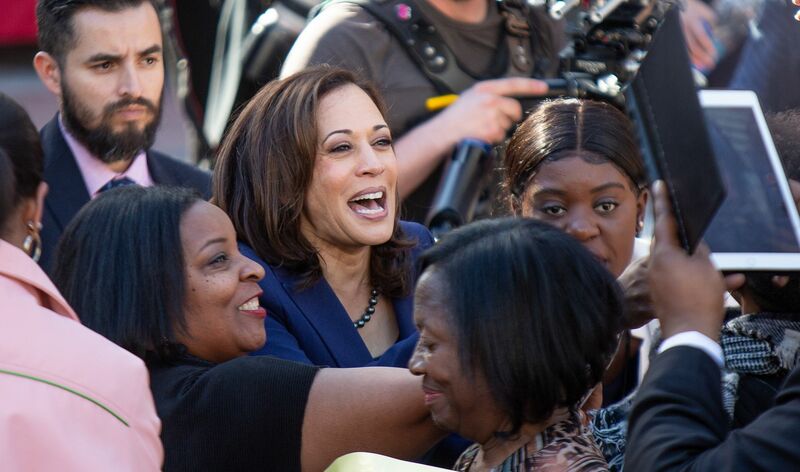 News outlets and now even Democratic California Senator Kamala Harris were quick to blame the recent tax cuts for the dip in tax refund amounts. Either their politics or their ignorance about how taxes work blind them to reality. Here’s why. The size of your tax refund is not determined by whether your tax liability increased or decreased. Tax refunds are the result of Uncle Sam taking too much out in taxes from your income throughout the year and returning that overpayment the next year. The big check may feel good but robs you of the benefit of using your money all year. Withholdings did change to adjust for the tax cuts and Americans are responsible for updating their W-4 forms to make sure that the right amount is being withheld each paycheck, but many taxpayers have not done so - an H&R Block survey suggests 80 percent did not. That doesn't mean taxpayers didn't get tax relief. Many taxpayers already received a tax cut through bigger paychecks. According to the Tax Policy Center, 80.4 percent of all taxpayers would have a tax cut. That extra $50, $100, even $200 in your paycheck didn’t fall from the sky but from the IRS withholding less because tax rates were cut across the board. In addition, these early filers represent a small number of Americans who will file taxes. It’s unfair to doom this entire tax season based on a few early results. The IRS did report that according to early filings, tax refunds are down 8.4 percent so far (I.e. as of Feb. 1). @kamalaharris: The average tax refund is down about $170 compared to last year. Let’s call the President’s tax cut what it is: a middle-class tax hike to line the pockets of already wealthy corporations and the 1%. However, the Treasury Department pushed back on the “misleading” reporting saying the sample size is too small to make such sweeping generalizations. I believe the Treasury. Even the Washington Post gave the senator's tweet 4 Pinnochios. Morgan Stanley is even predicting that tax refunds will be 26 percent higher this year. We’ll see if their prediction pans out. The media and lawmakers like Harris need to put aside their partisanship and not use fear mongering to bash the tax cuts. Americans are smarter than that.